The original Range Rover Evoque arrived to much pomp and plenty of PR ceremony back in 2011 and was immediately dubbed an automotive fashion accessory by many of its detractors. Taking the last laugh, it proved to be the right vehicle at the most opportune time for Jaguar Land Rover. By the time production of the first-generation Evoque ceased on December 15th, 2018, it had become a runaway success on an international scale. 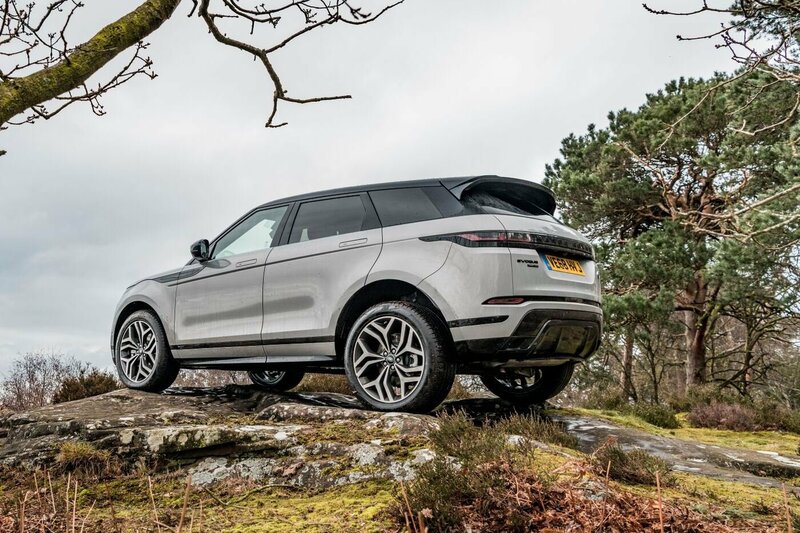 During those seven years, the Evoque garnered an astonishing 217 global awards and racked up more than 785,000 sales around the globe – 157,000 of them here in the UK. 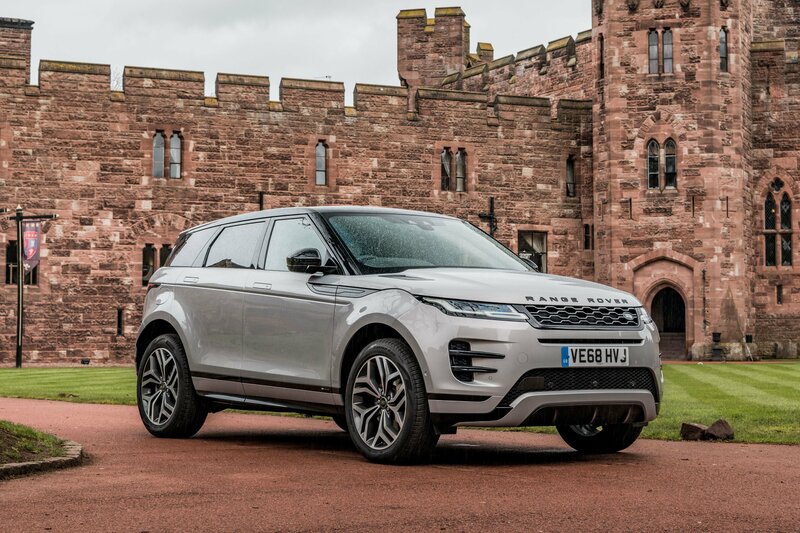 After much anticipation, the covers were finally taken off the second-generation Range Rover Evoque at a VIP event in London in December and last week, I travelled up to Peckforton Castle in Cheshire for its UK media launch and jotted down a few (okay, quite a lot of) notes. With the exception of the door hinges and the ECU mount, nothing from the previous Evoque has made it into this new one. Body-wise, there’s no three-door this time round and because of that there will be no repeat of the convertible. 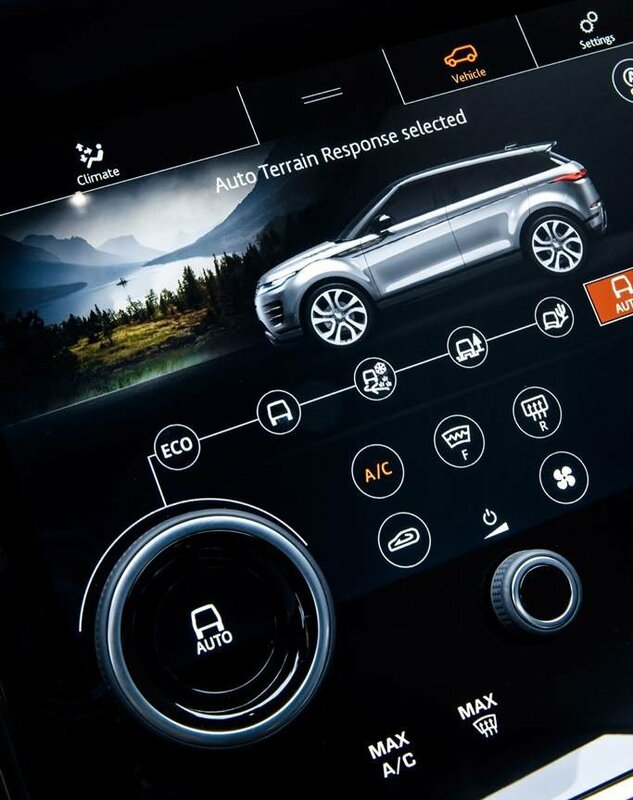 Underpinning the new Evoque is an all-new platform called ‘Premium Transverse Architecture’, which Land Rover says has been designed from the outset to enable extensive hybridisation. With those awards in the trophy room and all that sales success, it’s not surprising that Land Rover chose to be loyal to the original design with this second-generation model. 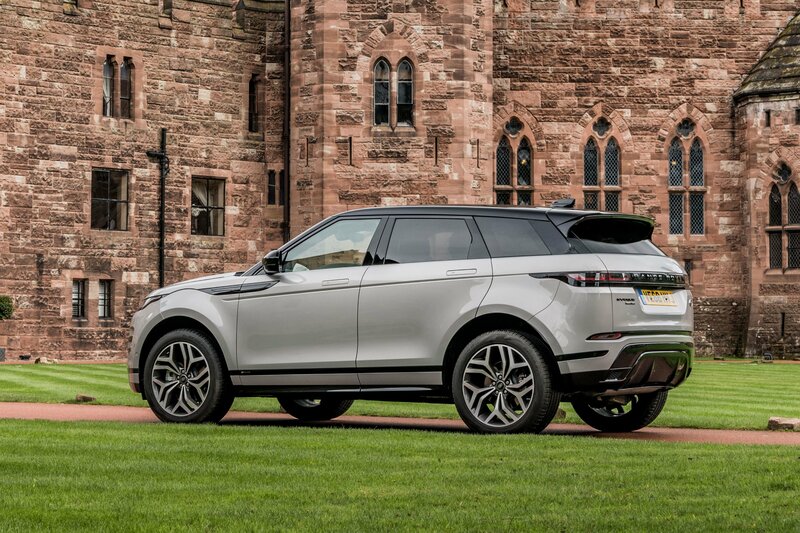 Style updates have naturally evolved and it isn't difficult to see the influence of the pricier Range Rover Velar on the new Evoque, particularly in the narrow lights at the front and back and the flush door handles that pop out for you to pull. R-Dynamic models offer a sportier look, adding black and burnished copper detailing plus a body-coloured front bumper. A scant one millimetre longer, no wider but a significant 11mm lower than the previous model, the main changes to the new Evoque are those you cannot readily see. The wheelbase is 20mm longer, which translates to improved interior space and bigger wheels are a better fit for the wheel arches. Inside the cabin, the renewal continues and it’s a great place to spend your time and appreciate some fine cabin features. As with most premium interior these days, there’s not a lot of clutter as most minor controls are handled by the infotainment system. However, the important functions such as navigation, media and vehicle settings all have their own icons along the bottom of the menu bar. 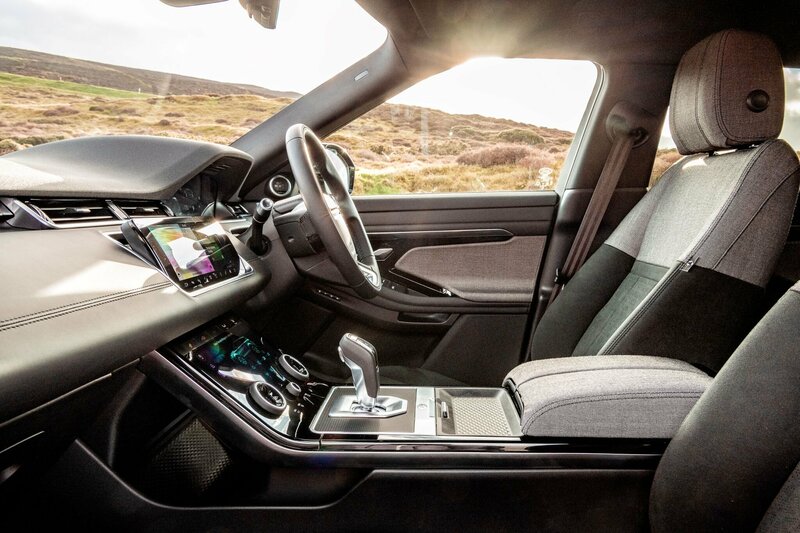 Of course, the Evoque comes with leather options, but you can also opt for a more sustainable alternative, including one made from recycled plastic bottles. From the driver’s seat, there is a twin touchscreen (standard from SE) with quicker software than previous thanks to a new, faster processor. Android Auto and Apple CarPlay are also included. Impressive though, is the magic dust that Land Rover has sprinkled on to your common-or-garden rear view mirror. 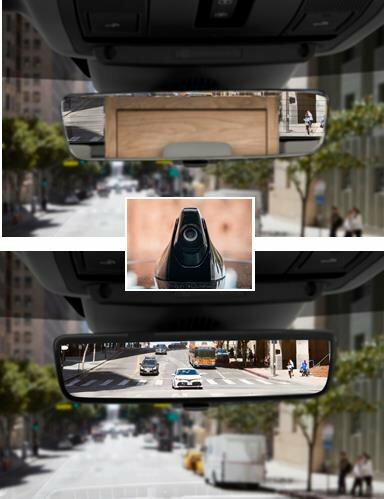 Opt for the ClearSight suite and, at a flick of the little lever underneath (like a normal mirror), you get a high-definition screen that displays what the roof-mounted rear camera sees. It’s good because when you’re carrying bulky loads that obstruct rear-view visibility, the mirror screen affords a full view of the rear goings on. Thanks to the new PTA platform, rear seat space has increased by 20mm, meaning you can fit a six-footer folded up in there. 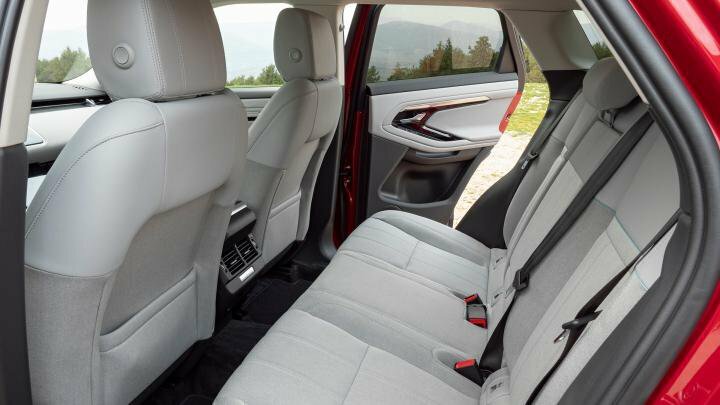 The rear bench seat is deeply recessed and angled downwards, so your knees aren’t too close to the chair in front and your head doesn’t quite hit the roof. 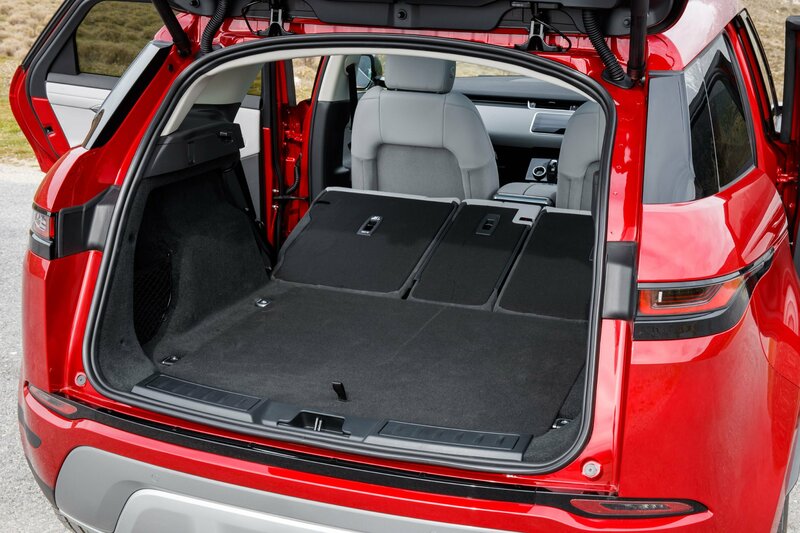 Storage space inside is improved too, as all four passenger doors get wide door pockets that are large enough for a big bottle and odd bits and pieces, while the front central armrest hides a deep cubby accessed by a split lid. In front of that, there’s a rubberised non-slip tray big enough for a phone, wallet or set of keys, and two cup holders can be found underneath. 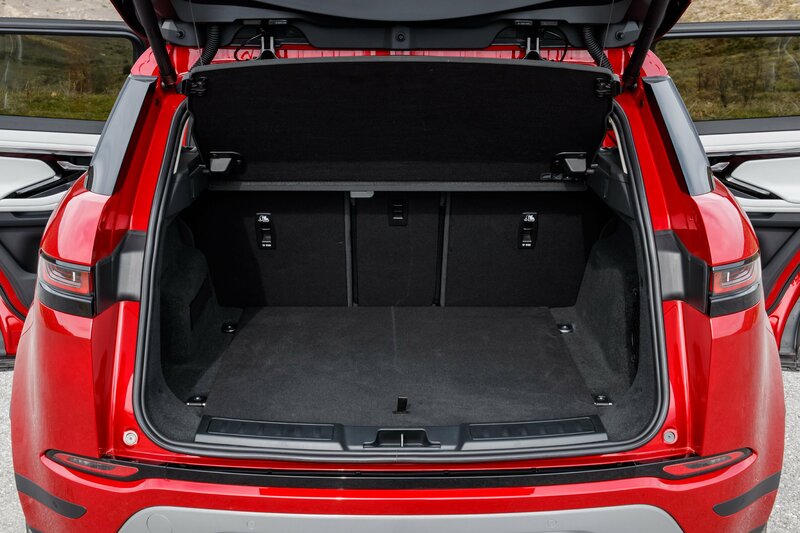 At 591 litres behind row two, the new Evoque has a boot that’s around 10 per cent larger than the previous generation model. Behind row one there’s 1,383 litres of boot space which should be plenty for most. Handily, all three rear seats fold individually in a 40:20:40 arrangement and you can flip the outer seats down using a handle in the boot. At launch, the second-generation Evoque is available in five trim grades: Evoque, S, SE, HSE and a special First Edition. Standard equipment is of a high level and includes, auto LED lights, auto wipers, 17-inch alloys, dual-zone climate control, button start, 10-inch TouchPro screen, DAB, rear camera, front and rear parking aid, lane keep assist, cruise control, Terrain Response2, All Terrain Progress Control, low traction launch, hill decent control, torque vectoring braking, passive suspension, hill launch assist, dynamic stability control, traction control, roll stability control, electric parking brake, voice control, ABS, EBD, rear ISOFIX, power operated child locks and six airbags. The S variant adds 18i-inch alloys, leather seats, navigation, smartphone pack (Android Auto, Apple CarPlay), auto fold door mirrors with approach lights, auto dimming rear-view mirror, traffic sign recognition and live speed limiter. Step up to SE and the toy box deepens to include premium LED headlights with DRL, auto high-beam, front and rear animated indicators, 20-inch alloys, 14-way heated memory front seats, TouchPro duo touch screens, interactive driver display, powered tailgates and the park pack which includes clear exit monitor, park assist, 360-degree parking aid and rear traffic monitor. Models in HSE trim add perforated Windsor leather seats, 16-way heated electric memory front seats, interior luxury pack, Meridian sound system, ClearSight interior mirror/screen, powered gesture tailgate, keyless entry and drive pack (blind spot assist, adaptive cruise control, high-speed emergency brake). The limited First Edition is festooned with goodies such as matrix LED headlights with DRL, headlight power wash, black contrast panoramic roof, privacy glass, configurable ambient lighting, electrically adjustable steering column, bespoke carpet mats, interior luxury pack and extended leather upgrade, heated steering wheel, illuminated metal tread plates and a head-up display. 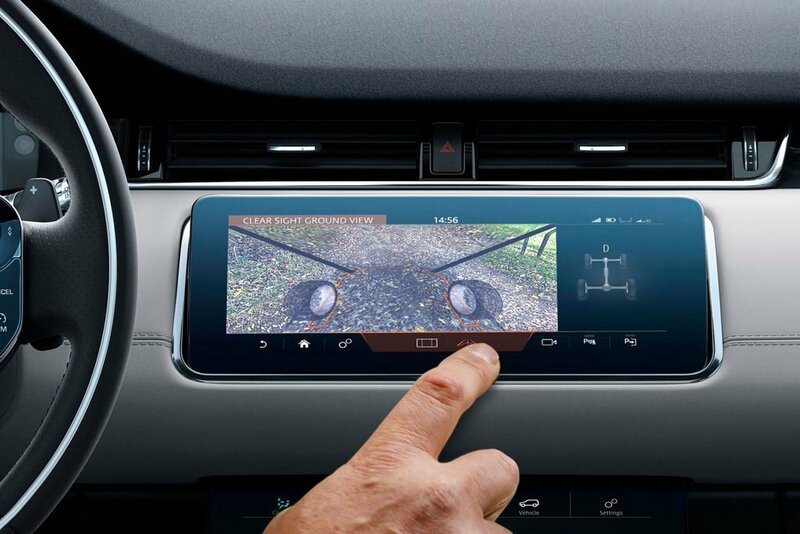 Included in the ClearSight suite is the excellent ‘Ground View Technology’, which takes a video feed from cameras placed in the door mirrors and front grille and then projects this onto the infotainment screen. This super-clever tech works by taking a static image of the ground ahead and effectively 'sliding' it underneath the car and, as it passes the terrain users get an unobstructed view of terra firma and may then make driving adjustments to avoid boulders or high kerbs in towns and cities. 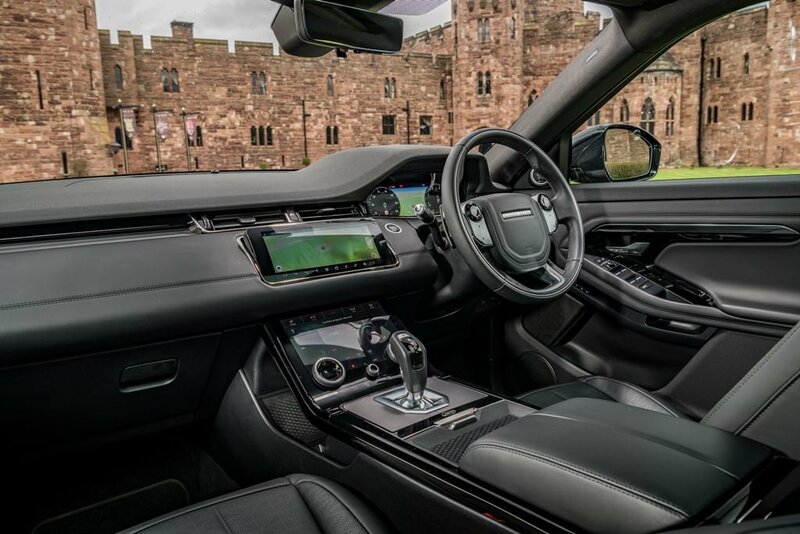 There is an expansive range of land Rover’s own powerful and efficient Ingenium diesel and petrol engines, ranging in power outputs from 148 to 300hp, all paired to a super-smooth ZF-sourced eight-speed automatic gearbox, except the range-entry model which has a six-speed manual ‘box. * Diesel engines: On the diesel front, the Evoque offers a 2.0-litre turbo engine with three power outputs: 148-, 178- and 237bhp, badged as D150 (manual ‘box), D180 and D240. All versions are very smooth and whisper quiet. The mild-hybrid technology conceals much of the diesel’s characteristic harshness above 2,500 rpm and maintains cabin refinement. Despite the pressure on diesel cars, Land Rover still expects 80% of Evoque sales to feature a diesel engine. * Petrol engines: Again with the Evoque’s petrol engines, there’s just the one 2.0-litre turbocharged petrol engine available from launch, but again is offered in three states of tune: 197-, 247- and 296hp, badged P200, P250 and P300, respectively. All are only available with all-wheel-drive and the nine-speed automatic gearbox. 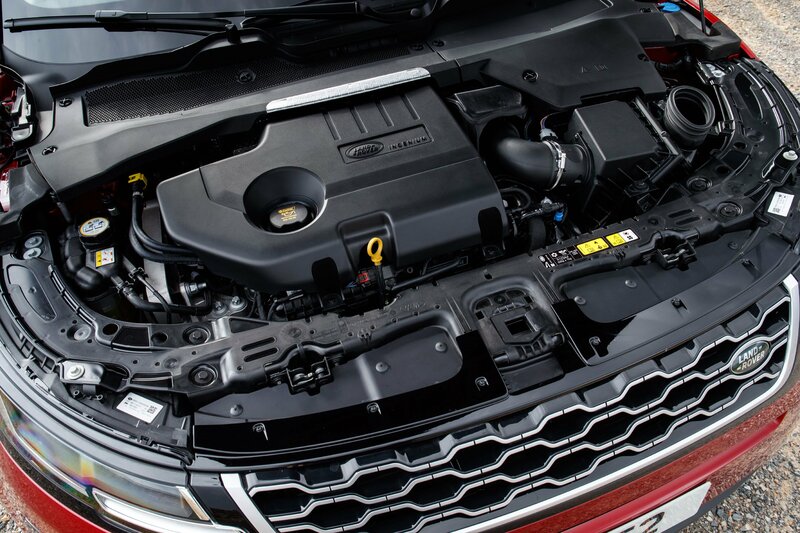 * Hybrid engines: Most of the Evoque variants at launch feature mild-hybrid technology that uses a 48V starter and generator system, which allows the engine to power down at speeds of 11mph or under without the electrics shutting down. The system also helps to reduce vibration when the engine turns back on. Unfortunately, there isn’t a plug-in hybrid model available from launch, but you won’t have too long to wait as the Evoque PHEV is set to go on sale at the end of the year. The PHEV model will use a 1.5-litre three-cylinder petrol engine and a 11.3kWh battery. Together, they will produce around 200hp. 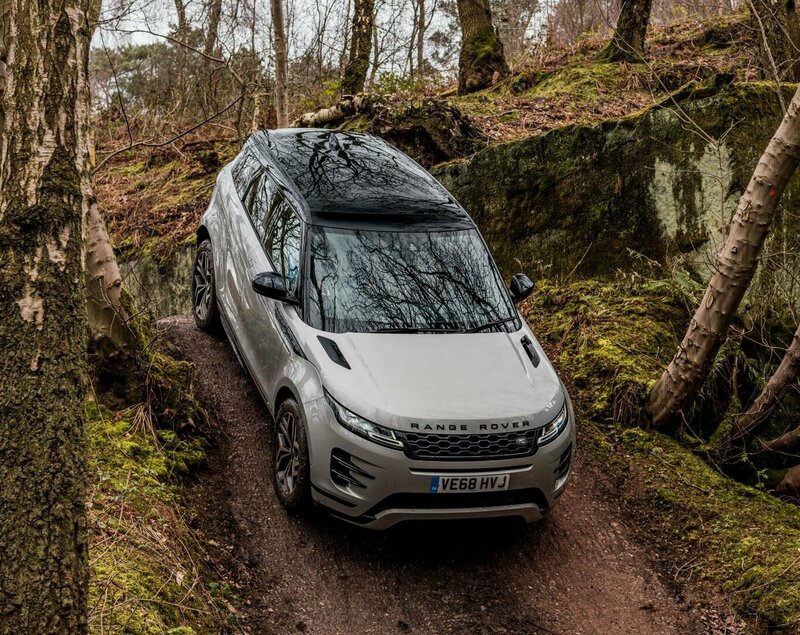 While larger SUVs like the Land Rover Discovery can tow up to 3,500kg, the Evoque is limited to 2,000kg providing you choose a diesel with an automatic gearbox. The entry-level diesel-engined model with a manual gearbox is limited further still to only 1,600kg of towing weight, while all petrol models are rated to tow a maximum weight of 1,800kg. All Evoques can tow an un-braked trailer weighing up to 750kg, and have a maximum towball weight of 100kg. As the Evoque shares its underpinnings with the Jaguar E-Pace, the two are not the same to drive. As Jaguar is the JLR group’s sporty brand, the E-Pace is the better choice for keen drivers as it’s sharper, firmer and more engaging with the driver. 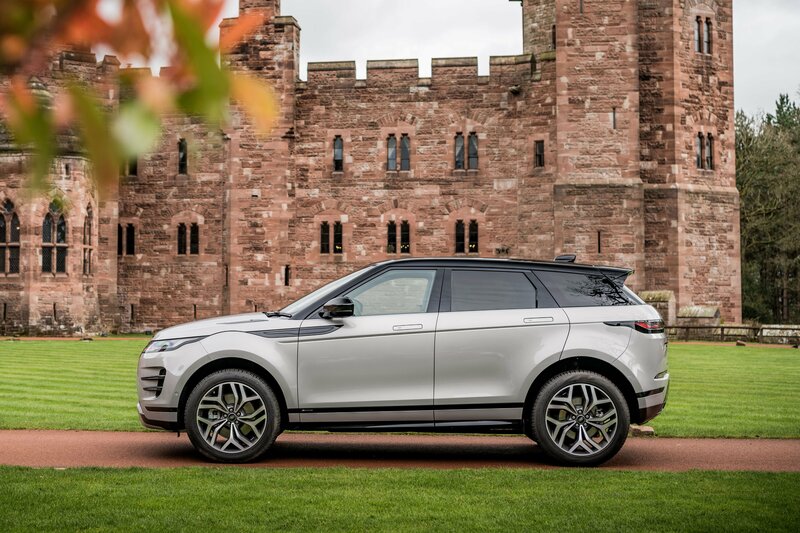 With the new Evoque, Land Rover has focused on comfort and refinement to avoid being too similar to the E-Pace, which does make it a distinguished cruiser. Overall, it feels more grown-up than the previous generation and the car feels happier at a relaxed pace. Drive with enthusiasm through the twisty bits and the nine-speed automatic gearbox will become a little upset as it is asked too much of it. Of course, an overly sporty Evoque would be missing the point somewhat, but it does feel that Land Rover’s engineers could have made the Evoque even better to drive if the E-Pace didn’t exist. 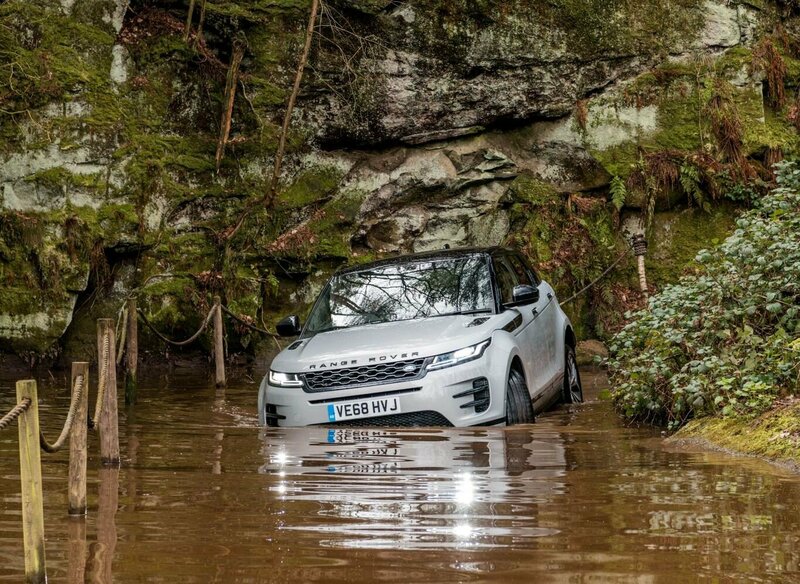 Off-road, the Evoque is better than ever as the new model can wade through water up to 600mm deep (100mm more than the previous iteration) and features Land Rover’s Terrain Response2 selectable driving modes. You can choose from four modes: Comfort, Sand, Grass-Gravel-Snow and Mud & Ruts. 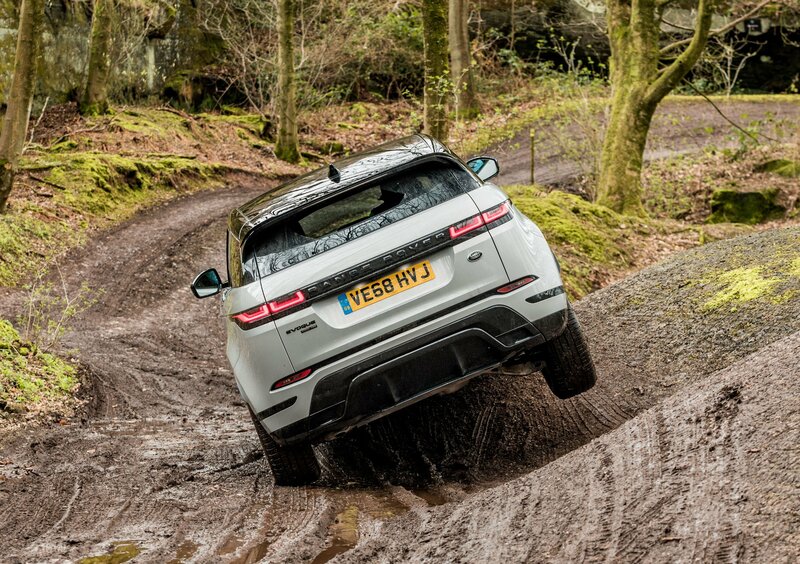 Despite the fact that most will never venture off the black stuff, it’s good to know that the Evoque will leave lesser SUVs far behind when the going gets tough. 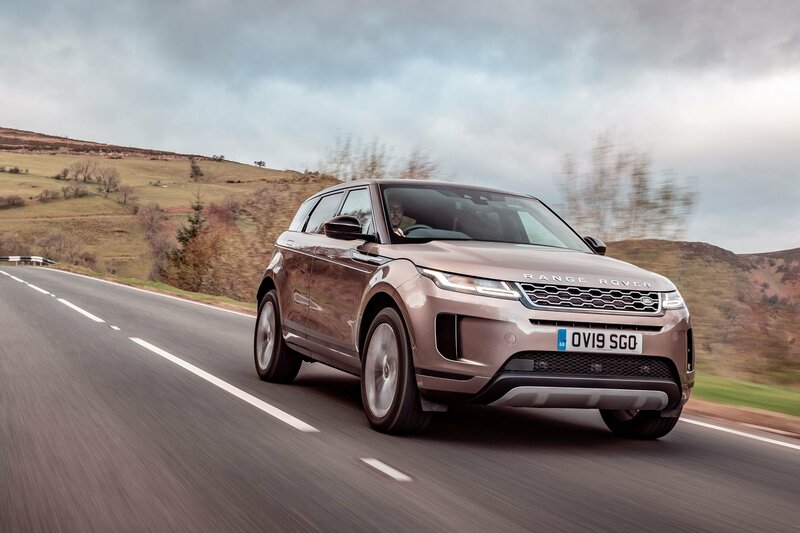 * Update 10.04.2019: The 2019 Range Rover Evoque was awarded a maximum of five stars after crash safety testing by EuroNCAP. Euro NCAP has yet to test the latest Evoque, but there would be little harm in anticipating a five-star rating which it will need to match its rivals. 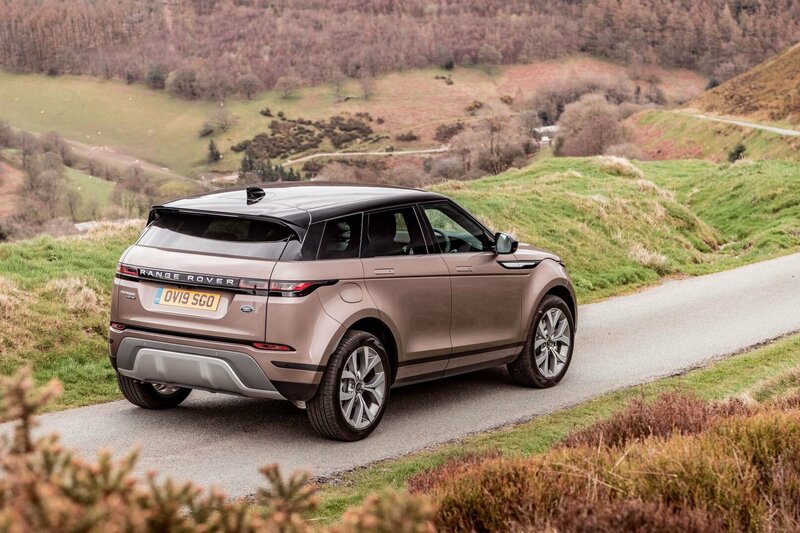 The Land Rover Discovery Sport and Range Rover Velar both scored five stars when they were tested in 2017, and the original Evoque also scored the maximum rating when it was tested back in 2011, but under less stringent guidelines. Even the range-entry model features emergency braking, a driver alert sensor, lane-keep assist, a brake pad wear indicator and a pedestrian airbag. Traffic-sign recognition, an adaptive speed limiter, a clear exit monitor with more tech is available if you upgrade to one of the higher trim levels. Top HSE models also include blind-spot assist, high-speed emergency braking and adaptive cruise control. Seven years on and the Range Rover Evoque remains a special car – even more so with this second generation. In its class, it can’t boast to be the roomiest, nor the sportiest. But neither are what the Evoque has ever claimed to be. It is often said that if you don’t turn around and look at your car as you walk away from it, then you acquired the wrong car. 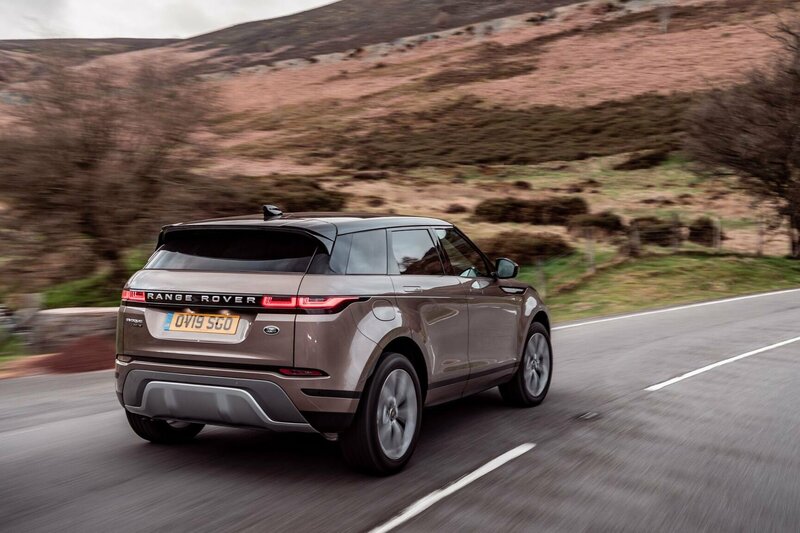 Treat yourself to the new Evoque and wallow in its luxurious cabin, enjoy pootling along with its much-improved road manners, super-quiet engines and smooth automatic transmission and take simple pleasure knowing that you’re riding in something a bit more special than anyone else. Browse our latest top leasing deals on the new Range Rover Evoque.